After Chávez: His 'Revolution' Is Likely To Continue : The Two-Way With a hand-picked vice president now controlling the purse strings and opponents looking weak, NPR's Juan Forero says the controversial and charismatic leader's policies are likely to survive for at least a while. Chávez died Tuesday. Supporters of Venezuelan President Hugo Chavez gathered late Tuesday at Bolivar Square in Caracas, Venezuela, to mourn him. Venezuelan Vice President Nicolás Maduro "controls the purse strings" and his opponents have been looking weak, NPR's Juan Forero said earlier today on Morning Edition. 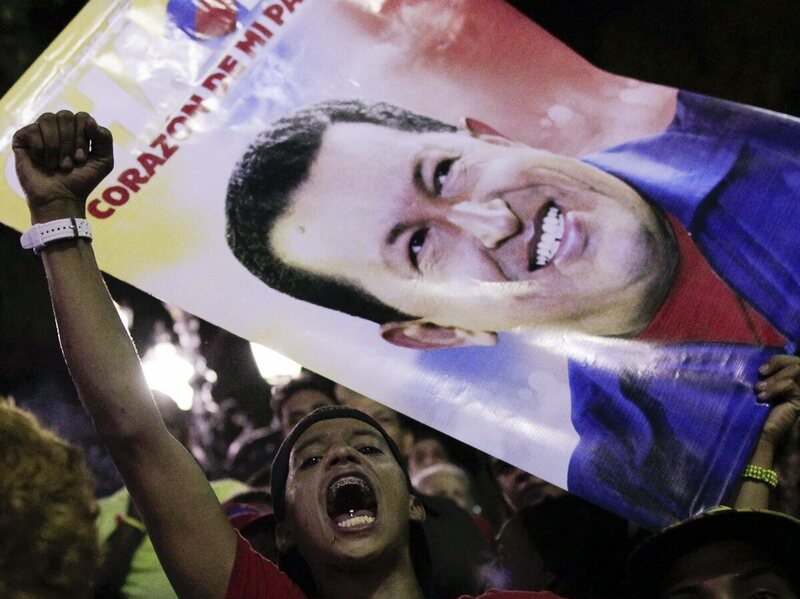 LIVE VIDEO: Venezuela's teleSUR is streaming its coverage here. Wednesday's images have included scenes of crowds in the streets of Caracas as Chavez's body was being moved. So despite Tuesday's death of the controversial and charismatic President Hugo Chávez, it's likely there will be at least "six more years of what Chavez has called a revolution," Juan said, after Venezuelans go to the polls. That vote could come within the next 30 days — if the Latin American nation's leaders in what's been called an "authoritarian democracy" follow the rules set down in the country's constitution. Our friends at WLRN will continue to follow the news.